Steamed Momo- These are the authentic type of momo where minced chicken or veggies are used as the filling inside soft flour balls. They are steamed and served with spicy chutney and hot soup. This tastes yum. Fried Momo- Do you love to enjoy some crunch? Try fried momo. Here, the momos are deep fried into oil and served with different types of chutneys and sauces. It tastes the best with chili-garlic sauce. Pan-fried Momo- Here, the momos are fried and then sautéed into a gravy with soya sauce, oyster sauce and lots of spices. It is too spicy. If you love that taste, try it now. Kothey Momo- This is a combination of half-fried and half-steamed momo. These momos are a bit longer in shape and the filling can be made of anything- veggies, chicken, pork, anything. Tandoori Momo- If you are in India, you will love to have a tandoori twist on all items. For true momo lovers, this is really a treat. With the flavour and rich texture, this new type of momo is really sumptuous. Chilly Momo- Try at your own risk. Yes, this must be the warning you can follow before having this momo. They are regular momos, dipped in hot and spicy chilli sauce. Still, want to try? Go on. Wheat Momo- Momo is already a healthy food if you have the steamed version. For health conscious people, this version is really yummy. As they are made of wheat flour, you can have a complete momo meal as your lunch. Green Momo- No, they are not green because they are environment-friendly. They are made of spinach! Not interested, right? You will miss a great taste if you don’t have it once being a momo lover. Those childhood days are gone when you hated spinach. Now, you will love it. 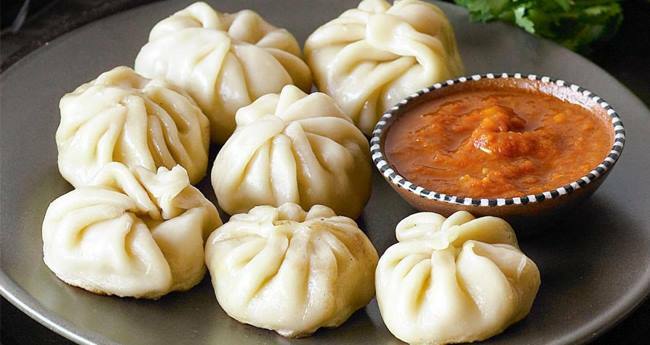 Soup Momo- You all know that momos are served with a delicious soup. But, this is a bit different. Here, the tangy and a bit spicy soup is made of vegetable or chicken broth and steamed momos are dipped in it. This is a complete meal and perfect for your health. Fish Momo- While it comes to the fillings, the momo recipes are almost same. But, when it id fish, it has to be different. Fish momos are unique in flavour and they are lighter than its contemporaries. Already feeling hungry? Go to the nearest momo joint of your area and try some lip-smacking recipe now.